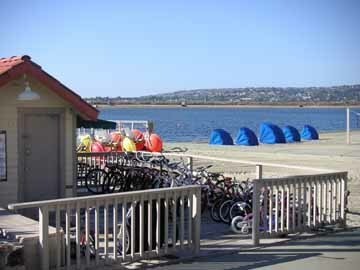 Mission Bay is a 4600-acre playground with 27 miles of beaches -- a paradise for sailing, boating, waterskiing, fishing, and swimming. For sea-lovers who prefer the open ocean, sportfishing boats -- and, in season, whale-watching boats -- leave from Mission Bay for the Pacific Ocean. 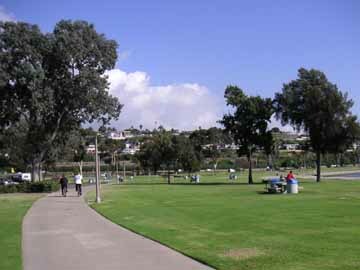 For landlubbers the park offers beach-side walks, bicycling, camping, picnicking, a golf course, restaurants, motels. And then, of course, there's Sea World, one of San Diego's main visitor attractions. 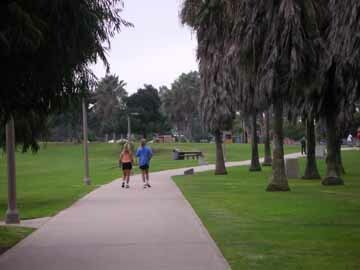 The park offers many areas that are good for walking. This walk takes in one of the best -- the eastern shoreline. Distance: Approximately two miles, one way. Time: It depends on how fast you like to walk, and how much of the walk you decide to take. This is a walk that you can make as long or as short as you like, depending on your time and your mood. You can turn around at any point. If you plan to take the full walk, and have two cars, you can leave the second car in the parking lot where the walk ends, where it will be ready for you when you get there. 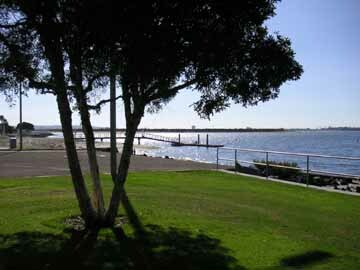 Begin at De Anza Cove, in the northeast corner of the park, and take the paved walkway that follows the eastern shoreline of Mission Bay. 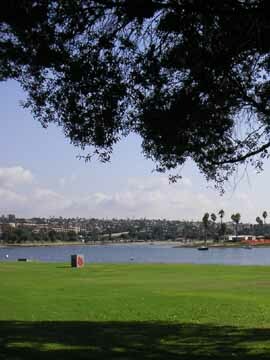 As you walk along, you pass picnic areas, and come a boat launching ramp. 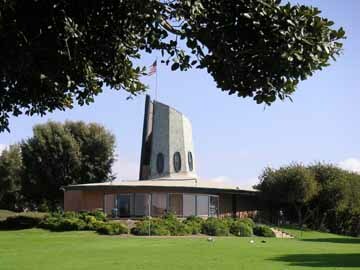 Passing a waterskiing area, and some playgrounds, you come to a building that formerly housed a visitor information center. 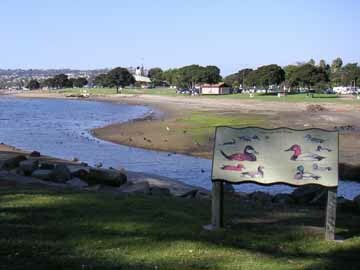 Beyond that you come to a bathing beach and an area popular with migratory birds. Soon you arrive at the Hilton San Diego Resort. Leaving the Hilton behind, you pass a grove of palm trees. 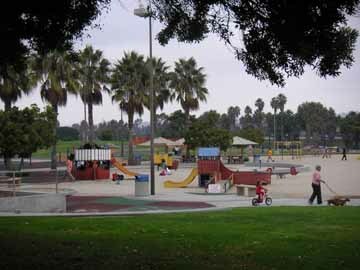 The walk ends at a playground where the path leads out to the road to cross a bridge. You return along the same path.